She will remain as chairwoman of the board of directors until early 2019. 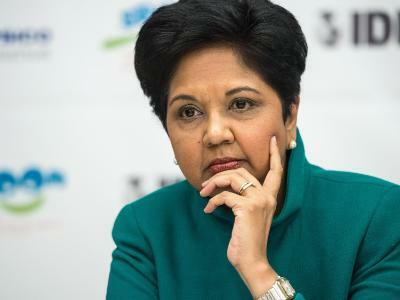 Nooyi, 62, will be replaced by Pepsi's (PEP) global operations chief Ramon Laguarta, 54. Nooyi has been with Pepsi for 24 years. Before becoming CEO, she led the company's expansion through acquisitions, including its 2001 purchase of Quaker Oats. She earned $31 million last year, and $87 million over the last three years, according to company filings. Nooyi grew up in a middle class family in India. When she and her sister were young, their mother challenged them at the dinner table each night to give speeches about what they would do if they were prime minister or another world leader, a Pepsi spokesperson said. After the speeches, their mother would vote. Indra Nooyi will be stepping down as PepsiCo CEO on October 3. Her departure leaves only 24 women leading Fortune 500 companies, after Beth Ford became the CEO of Land O'Lakes just last week. 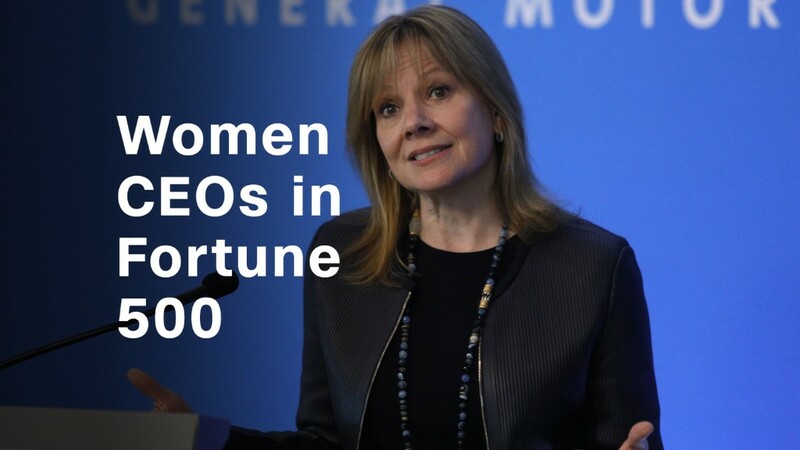 Just more than a year ago, there were 32 women leading Fortune 500 companies. Since the middle of last year, several high-profile female CEOs have announced they were stepping down, including Marissa Mayer at Yahoo, Irene Rosenfeld at Mondelez (MDLZ) and Meg Whitman of Hewlett Packard Enterprise (HPE). Nooyi's 12 years as CEO is fairly long by standards of the job. A study by Equilar found that the average tenure for a CEO at large companies is only five years. Nooyi praised her successor, calling him "exactly the right person to build on our success." She also received praise from analysts following her announcement. "We have had the privilege of knowing Nooyi for over a decade and have been very impressed with her leadership acumen and very thoughtful approach to managing PepsiCo through what has been a period of very choppy waters for broader consumer packaged goods," said Bonnie Herzog, senior analyst at Wells Fargo. "Nooyi has been an exemplary CEO and sets the bar high." Still, Pepsi's stock lagged the broader market in recent years, and it has trailed rival Coca-Cola (KO). Shares are down 1.8% this year, compared with a nearly 7% rise in the S&P 500 index. Both Coke and the S&P also have slightly outperformed Pepsi during Nooyi's tenure. Shares of Pepsi were slightly higher in early trading. Americans' growing distaste for sugary sodas has hurt both Coke and Pepsi. In 2014 activist investor Nelson Peltz pushed for Pepsi to spin off its snack business as a separate company. But Nooyi fought calls to break up the company. It turned out to be the right call, according to Neil Saunders, a managing director of GlobalData. "Nooyi will leave a company stronger than the one she inherited 12 years ago," Saunders said. "It was her insistence on building up and maintaining a strong snack business that was most prescient. With demand for soda under pressure, PepsiCo can now take comfort in the fact that it has a balanced portfolio of products." Nooyi has stressed the importance of shifting Pepsi toward healthier food and snacks, saying it was important for the company's future because of consumers' increasing attention to health. She broke the company's offerings into three categories: Fun For You includes traditional, higher-calorie soft drinks and snacks. Better For You includes diet drinks and lower-calorie snacks, such as potato chips that are baked instead of deep-fried. And Good For You includes foods such as Quaker Oats oatmeal, Sabra hummus and Naked Juice smoothies. In 2010, Pepsi set a goal of tripling sales of its healthiest offerings to $30 billion by 2020. By 2017, sales had grown only 75%, to $17.5 billion. In 2016, Pepsi revised the goal. It now wants sales growth of healthier products to outpace traditional drinks and snacks by 2025.